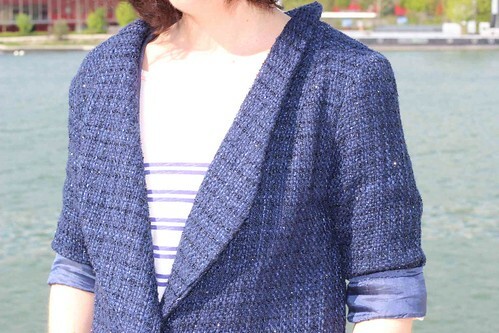 I have been looking for a summer coat for a long time, enough time to become desperate. I wanted a classy, long and light coat. Unfortunately, the lately summer collections include a lot of trench coats, light parkas, Saharan jackets and other casual outer layers. So finding a classy coat which is also my size, become a very difficult mission to accomplish. Once I identified my specific and still unfulfilled need, I could not avoid the obvious: one is never better served than by himself. 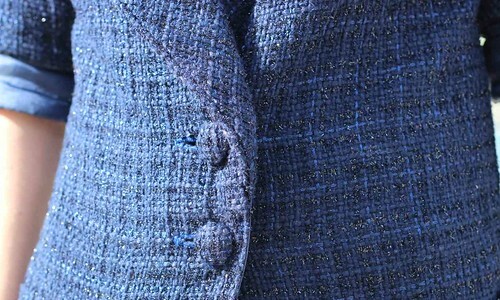 I found a blue tweed Chanel like fabric sparkling like a summer sky. 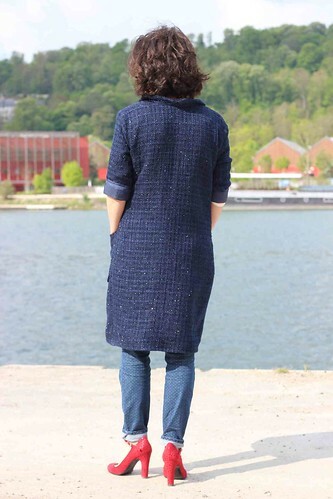 I made a knee length coat with a shawl collar and fabric buttons. As I wanted to break up the dressy look, I used no interfacing, added two simple patch pockets and made elbow length sleeves with cuffs. 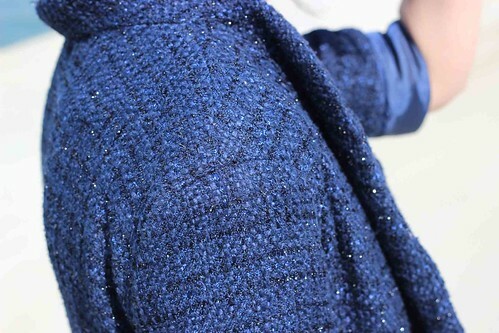 This is a light and flowing coat that can be worn day or night, as long as the temperature does not exceed 25 degrees Celsius, which is rarely the case in Paris. Here are the photos taken on a windy day. And you, have you already found a nice summer coat? 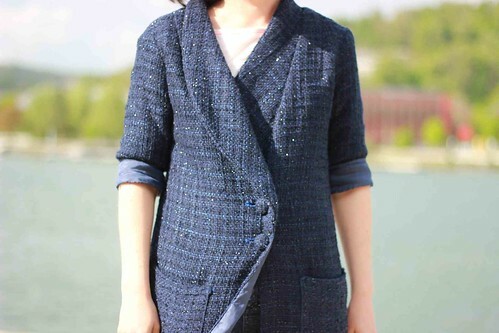 This entry was posted in Projects and tagged coat, shawl collar, tweed. Ohhh my !! !You are such a inspiration and also very generous for sharing this wih us …Great work ,keep going!! !